A unique product with outstanding benefits. 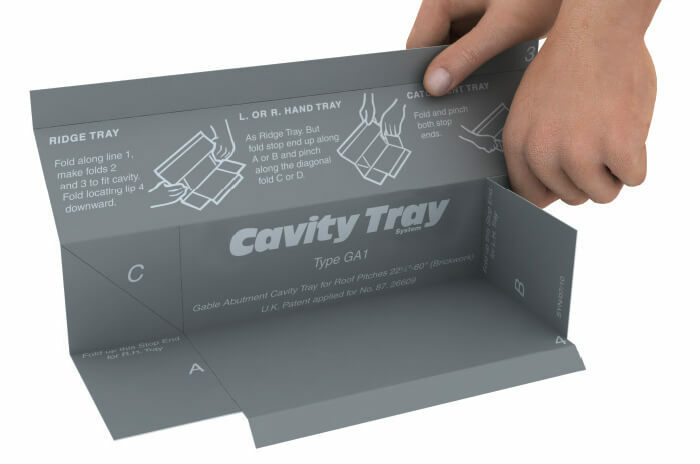 Enabling a fast and simple installation, Cavity Trays are obtainable off the shelf in easy-to-handle flat packs which are pre-creased to be easily hand-folded on-site. 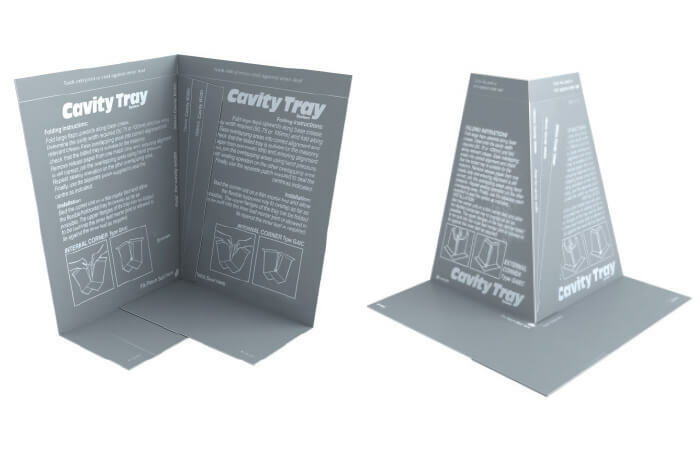 Available in three sizes, Cavity Trays give the specifier and builder the flexibility to cover a wide range of roof pitches and cavity widths. 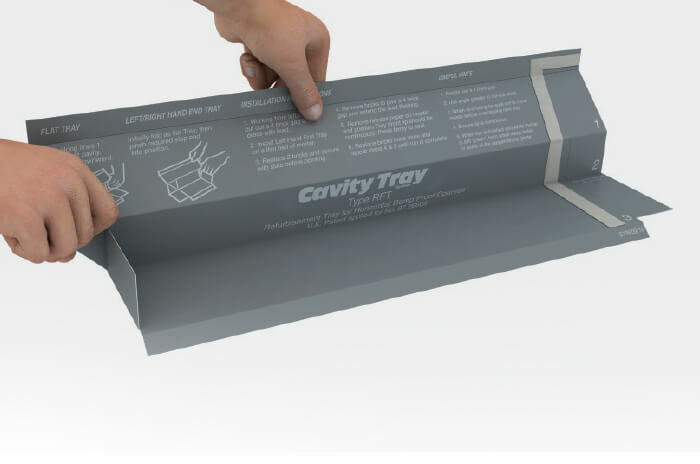 Our impact, tear and abuse resistant thermostable polypropylene Cavity Tray offers the most cost effective solution to damp proofing on the market. 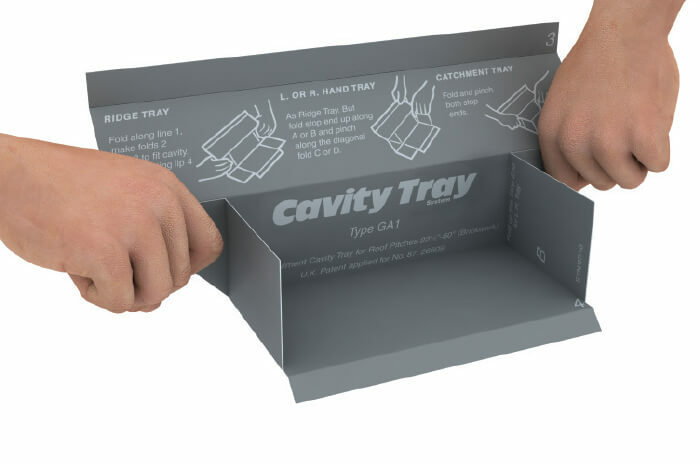 Additionally, Cavity Trays can be used as a refurbishment system, whereby they are folded to facilitate the insertion of a new tray into an existing wall or to replace old, poorly constructed cavity trays. 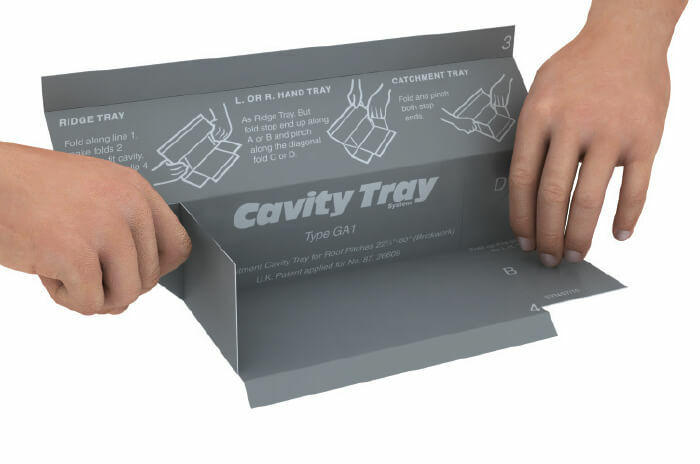 Cavity Trays can be used in a variety of applications. 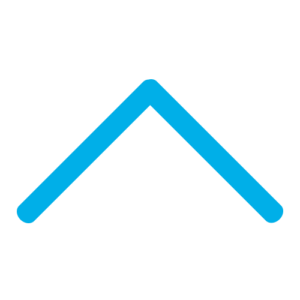 Where the external wall changes to that of an internal partition below the roof line (i.e. 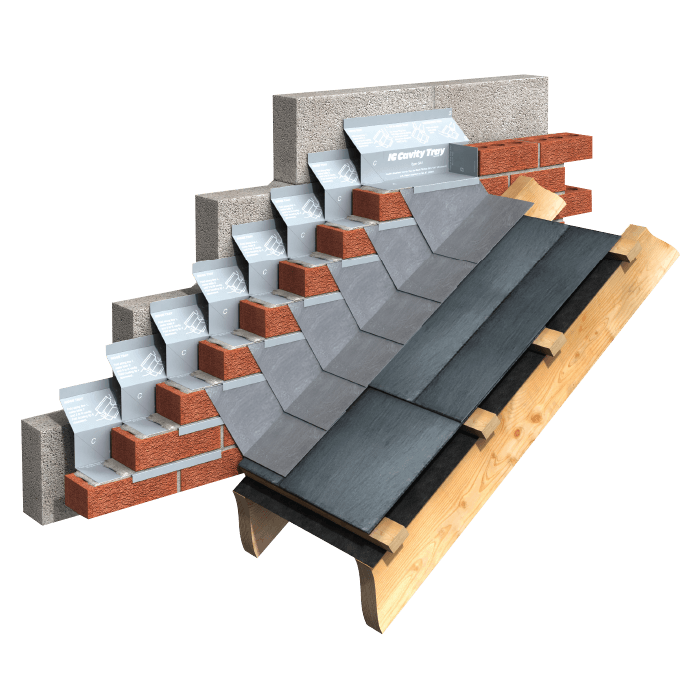 gable abutments on new build or a lean-to extension on refurbishment projects) the building must be protected from water penetration. Similarly, where a flat roof is resurfaced or reconstructed with extra insulation, the roof level may be raised resulting in the skirting and damp proof course to be lifted leaving room for water and damp to seep in. The single element system makes the calculation of quantities and transportation very simple. 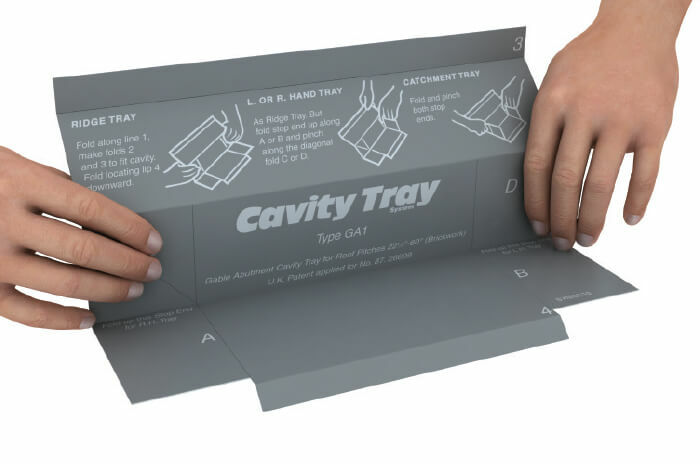 Along with this, Cavity Trays are fully compatible with all building materials, with the largest bridging piece catering for cavity widths from 50mm to 100mm, enabling flexibility of design and installation for a specifier and builder. Flexible: Three sizes cover all roof pitches, cavity widths and building materials. Off-the-shelf: Pre-creased, flat-packed and easily handfolded on-site. Robust: Impact, tear and abuse resistant to last the lifetime of your building. 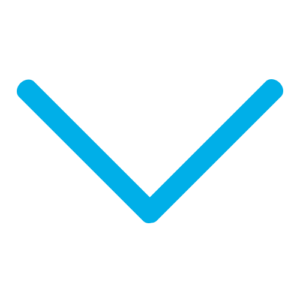 Compliant: Meets all current Building Regulations and NHBC requirements. Economic: The most cost-effective cavity tray system available. Durability: Resistant to Acid, Alkali and Sulphate.